Walmart is reportedly working on a new video streaming service separate from Vudu, with special help from Mark Greenberg, a key veteran of the TV industry. Walmart's existing video service, Vudu. The project is early in development and hasn't been formally approved by leadership, Deadline said. A decision isn't expected until later this summer or early fall. Greenberg was most recently the CEO of Epix, which is best known for showing movies but has also been producing original shows like "Get Shorty" and "America Divided." He previously held high-level jobs at HBO, Showtime, and Blockbuster. His career, along with the nature of Vudu, may hint at where Walmart is headed. The retailer could pair its own slate of original shows with movies from existing studios, perhaps even putting a strong emphasis on the latter. 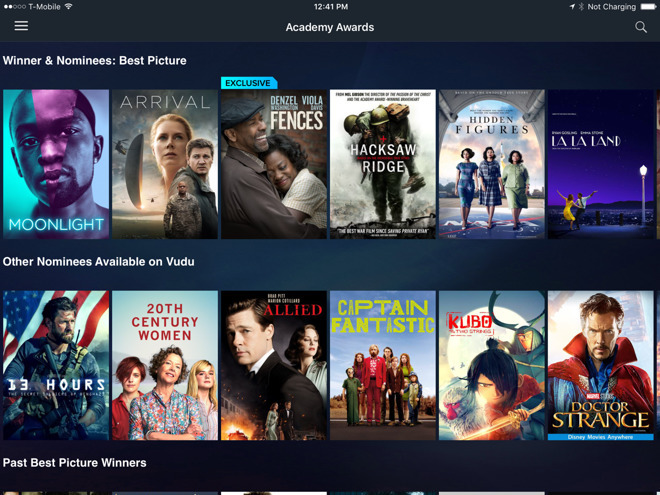 Vudu offers sales and rentals of movies and TV shows, many of which aren't available on services like Netflix and Amazon Prime Video, which would give Walmart a competitive edge if it could carry over much of that library. Amazon likewise sells movies and shows that aren't available via subscription, however, so there's no guarantee of an advantage. Apple is working on its own collection of high-budget shows set to premiere in 2019, possibly as soon as next March. Some of the titles known about so far include "See" starring Jason Momoa and Alfre Woodard, a morning show drama with Jennifer Aniston and Reese Witherspoon, and an adaptation of Isaac Asimov's classic "Foundation" novels. Still uncertain is how Apple plans to broadcast the material. It could potentially be bundled with other paid subscriptions such as Apple Music and premium News.